A detail of Lauren Fensterstock's upcoming exhibit "Forays and Follies." Lauren Fensterstock is known for her unique, spell-binding take on nature and her style is impossible to miss in the latest exhibit coming to the Leonard Pearlstein Gallery. 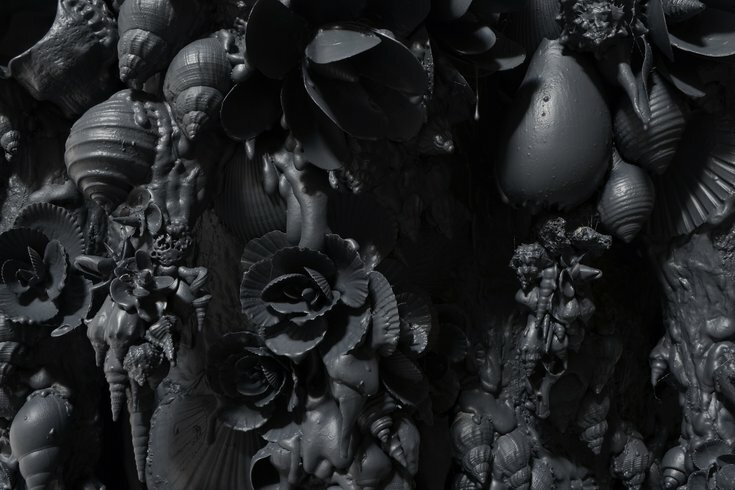 "Forays and Follies," opening Friday, July 17 in the gallery at Drexel University, explores a haunting environment of Fensterstock's own making, created with crafted paper, shiny black plexi-glass, pulverized charcoal and rubber-coated seashells. 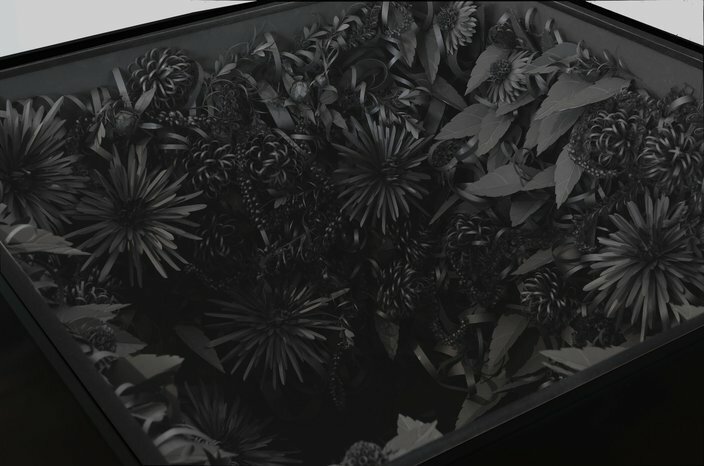 Fensterstock uses texture to bring life to a dark, romantic, monochromatic world of flora and grottos like those found in elaborate pre-19th century gardens. Mixing the baroque aspect of an ornate garden with the simplicity of a minimal color field, her installations are enchanting from far away and up close. They sit enclosed in boxes and explode down walls like stalactites. This will be the artist's first solo show in Philadelphia. Her work can be found in collections all over the world and she was recently named one of the top nine trending artists at Basel Miami 2015. An opening reception for "Forays and Follies" will be held Friday, July 17 from 5-7 p.m., complete with refreshments held in the outdoor courtyard.